Father’s Day is a celebration of all the kind, inspiring and thoughtful fathers and father figures. It’s a time to appreciate and reflect on all the words of wisdom they share with their children through their lives, and the positive influence that they are. 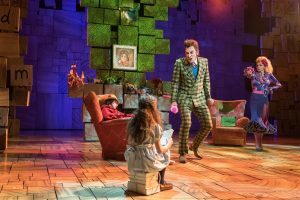 The thought of reading a book frightens Mr Wormwood and he really doesn’t understand why Matilda loves reading. Mr Wormwood absolutely loves watching Telly and he believes it’s the best form of education. For example, you can learn what to think and buy. The size of your Telly is also important as it shows just how clever you are. The first thing people see is what you wear and your hair. Good hair means a good brain so it is important that you look after your locks. And the secret to Mr W’s success in business is Oil of Violets Hair Tonic. For Men. Russian businessmen are not stupid. Need we say more? 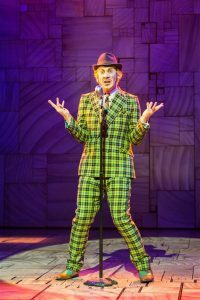 Fairness won’t get you anywhere in life and if you have brains like Mr Wormwood you’ll realise that from an early age, and make sure your children know it too. Make sure you learn how to use a microwave so that you can help out with the cooking, and buy her lots of presents with your hard-earned cash!